As Australia’s development sector moves through an unprecedented construction boom, the availability of property and construction credit has contracted. The void left by traditional sources of development finance, such as the major banks, is being partly filled by non-traditional financiers, such as private lenders, pension funds and non-bank commercial lenders. But what does this all mean for developers and investors, big and small? How can property developers ensure that their projects are successfully funded in this next cycle? 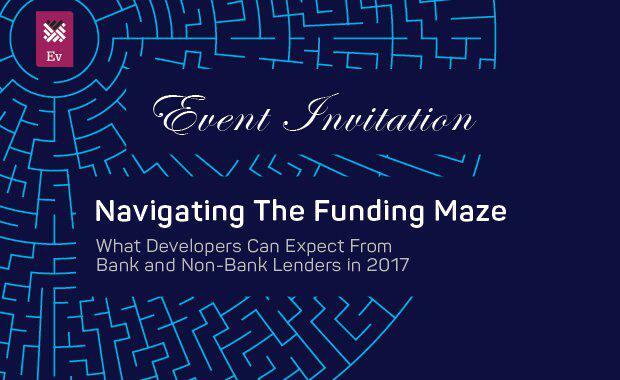 The Urban Developer, in association with Development Finance Partners and Hall Chadwick will provide an in-depth look into Navigating The Funding Maze: What Developers Can Expect From Bank and Non-Bank Lenders in 2017. What can developers and investors expect from bank and non-bank credit providers in 2017? What are the major challenges facing the availability, terms and cost of project finance? What strategies can developers and investors employ to ensure success? What new sources of funding exist in the market place and what are their terms? What tax strategies can developers and investors employ to optimise? How are construction costs and contract terms impacting financier's appetite for lending?